The United Congress is led by the vision and voices of grassroots communities of color. We are driven by the diverse leadership of Chicago’s most dynamic community and religious organizations. Jenny Arwade is Co-Executive Director of Communities United (formally known as Albany Park Neighborhood Council or APNC), a community based organization located in one of the most immigrant communities in Chicago. A graduate of Princeton University, Jenny has been a community organizer since 2000, and Executive Director Communities United since 2004. In that time, she has worked to organize community residents through local as well as collaborative campaigns to increase access to affordable housing, and affordable health care, improve the quality of public education, and promote immigrant rights. Jenny is also Vice President of the Illinois Coalition for Immigrant and Refugee Rights, an Executive Council Member of the United Congress of Community and Religious Organizations, and recently worked with 6 other organizations to form Voices of Youth in Chicago Education (VOYCE), a multi-ethnic youth-led community organizing collaborative to tackle the dropout rate in Chicago Public Schools. It is with excitement P.A.S.O. 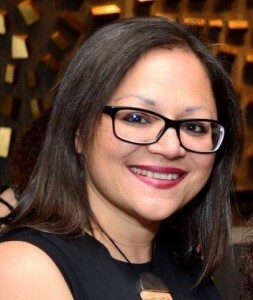 welcomes Mony Ruiz-Velasco as its new executive director. Mony comes to P.A.S.O. with nearly twenty years’ experience as an attorney, activist and committed advocate. Mony served on the board of P.A.S.O. for almost three years and has extensive experience working alongside communities and activists. She is a dynamic and committed leader. 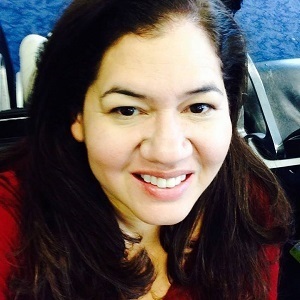 Most of her career has been in the not-for-profit sector where she managed and implemented legal services programs as the legal director at the National Immigrant Justice Center. Over the past three years, Mony has been actively involved with P.A.S.O. Mony volunteered to provide community empowerment trainings, pro-bono legal consultations and information to the community in the West Cook Suburbs. P.A.S.O.’s strengths come from a strong and organized group of community leaders and staff, a deeply committed and diverse Board, and funders who have over the years made an investment in P.A.S.O.’s mission and work. P.A.S.O. is grounded in community organizing, leadership development, community education and civic engagement as methods to build community power. 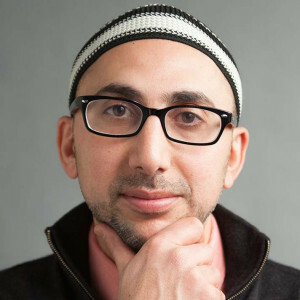 Rami Nashashibi has served as the Executive Director of the Inner-City Muslim Action Network (IMAN) since its incorporation as a nonprofit in January 1997. He has a PhD in Sociology from the University of Chicago and has been an adjunct professor at various colleges and universities across the Chicagoland area, where he has taught a range of Sociology, Anthropology, and other Social Science courses. He has worked with several leading scholars in the area of globalization, African American studies and urban sociology and has contributed chapters to edited volumes by Manning Marable and Saskia Sassen. Rami has lectured across the United States, Europe, and Asia on a range of topics related to American Muslim identity, community activism and social justice issues, and is a recipient of several prestigious community service and organizing honors. He was named a White House “Champion of Change” in 2011, and was also invited by the governor of Illinois to serve on the Commission for the Elimination of Poverty and as a member of the Governor’s Muslim Advisory Council. Rami lives with his wife and three children on Chicago’s Southwest Side. Katya Nuques was born and raised in Guayaquil, Ecuador. Prior to joining Enlace, she worked in the international development field, first as an intern with the United Nations Division for Sustainable Development in New York, and then as a project coordinator for the Adventist Development and Relief Agency in Peru. Katya joined Enlace Chicago in 2005, where she has played an integral role in expanding the organizations involvement in education, immigration and community engagement. In 2014, Katya was recognized by the Illinois Federation of Community Schools with the Community Schools Leadership Award. She is a board member of the Illinois Coalition for Immigrant and Refugee Rights, and serves on the Advisory Council for the City of Chicago’s Office of New Americans. She is a Leadership Greater Chicago fellow with this year’s class of 2016, and a member of the 2015 Cultivate Women of Color Leadership cohort. “I am very excited, and feel very privileged to be entrusted to lead this organization. I also feel honored to be the first female executive director of Enlace. As we face the future, I will bring to the table the values and principles that make me who I am, and invite our community leaders, partners, friends and supporters to join me and our team as we continue to make a positive difference in the lives of Little Village families”. Autry Phillips has been involved with non-for-profit and Community Organizing work for the last 18 years and has currently worked as the Executive Director of Target Area Development Corporation since 2011. Autry previously served as the Chief Operations Officer for TARGET Area, overseeing staff and various programs that are run by the organization. 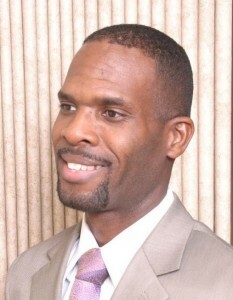 Prior to this position, Autry served as the Director of Public Safety, managing Target Area’s street level intervention work, and other various public safety projects. He has traveled with the former First Lady of the United States Laura Bush presenting on Ceasefire model throughout the United States; most recently he conducted street level intervention and organizing training for community organizations in South Africa. Autry received a B.A. in Business Administration from Langston University in Oklahoma and certificate in Non-Profit Management from Kellogg’s School of Business at Northwestern University. Autry has been married to Cheryl Phillips for 20 years and has a 21-year-old son, Autry Jr. attending Purdue University and a 10-year-old named Justin in the 5th grade. Roderick Wilson is the Executive Director of the Lugenia Burns Hope Center. He is a board member of the governance board of Chicago Housing Initiative. He has Bachelors of Arts degree in Interdisciplinary Studies from Northeastern Illinois University. Mr. Wilson is the Chairperson of People United for Action and a Local School Council Trainer with CPS. Rod Wilson has also provided legislative strategy for GYO Illinois. Before moving to Chicago Rod attended school at Parkland College in Champaign, IL. Rod was President of the Black Student Association and member of the Dean’s List at Parkland. While in Champaign, Rod coordinated summer camps for preschoolers in public housing developments. In addition, he worked for the Urban League of Champaign County as a Site Coordinator and Curriculum Specialist. Rod then moved to Chicago in 1997 and worked as an African Dance Instructor with the Youth and Family Resource Center at a local park district facility. He worked for KOCO briefly as a GED Tutor and Volunteer Coordinator. He then began working with residents in the Chicago Housing Authority developments of Statewide Gardens and the Robert Taylor Homes with Urban Relocation Services. Before coming to the Hope Center, Rod was one of the senior organizers and program coordinators at the Kenwood Oakland Community Organization (KOCO) from 2000 – 2012. Inhe Choi is the Executive Director of the HANA Center in Chicago – whose mission is to empower Korean Americans, multi-ethnic youth, and immigrant communities to advance human rights. She has over 30 years of experience in community building, including serving as the Executive Director of Korean American Resource and Cultural Center, an immigrant rights organization; Program Director at the Crossroads Fund, a public foundation that funds organizations working on social justice issues in the Chicago area; and Community Organizer in the Harold Washington administration for the Commission on Asian American Affairs. Inhe is a founder of KAN-WIN, an organization that supports Asian American survivors of domestic violence and sexual assault. She immigrated to the U.S. from Seoul, Korea at the age of 12 and attended the Chicago Public Schools. Inhe is a graduate of the University of Chicago with a degree in Economics.